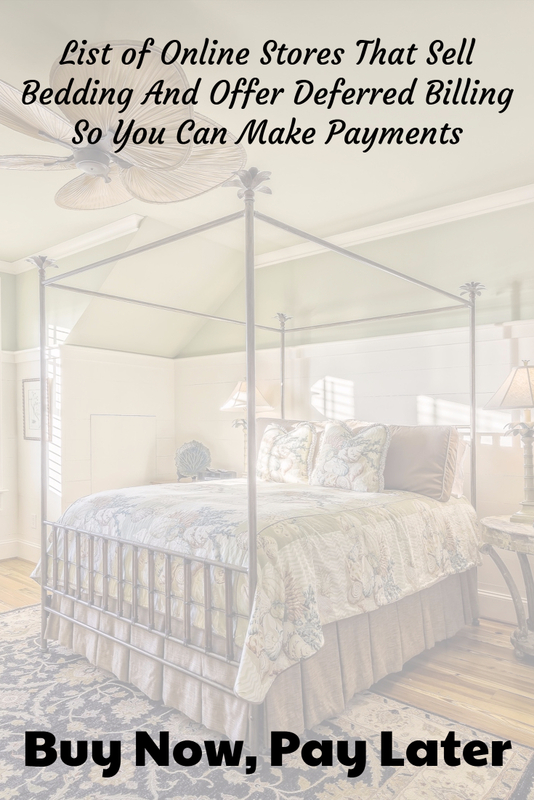 Are you looking for finance options to redecorate your bedroom? 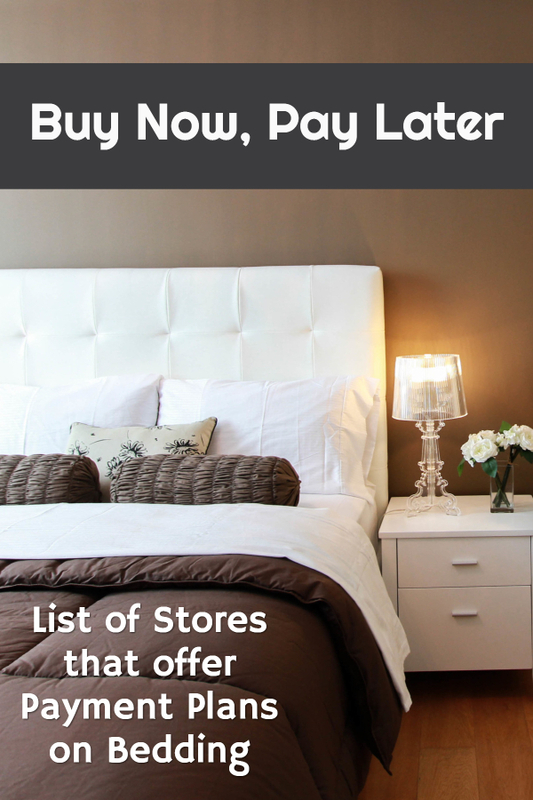 If you don’t have the extra cash right now to buy a new bedspread, bed skirt, pillows and curtains, check out these top twelve (12) online stores that offer deferred billing with payment plans, so you can buy bedding now and pay later! 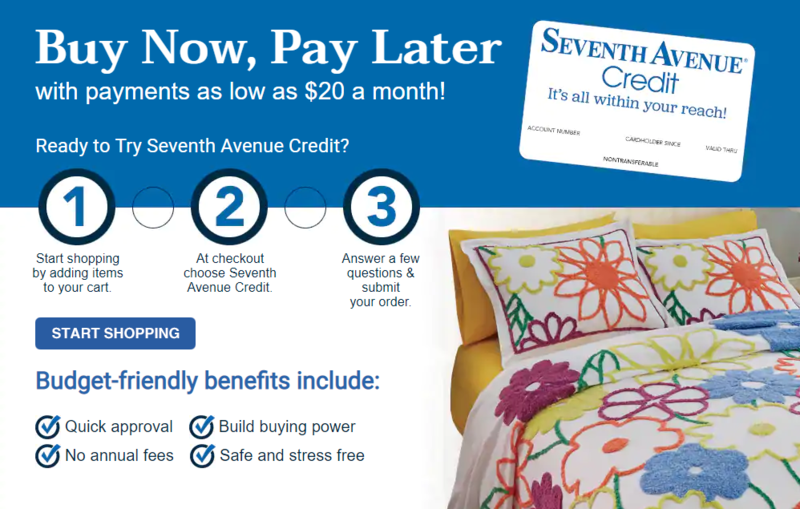 Seventh Avenue is all about convenience: just buy now and pay later with payments as low as $20 per month! You’ll discover unique choices not offered elsewhere in bedding and furniture, home decor, kitchen, apparel, and so much more. Country Door – Buy affordable home decor, bed and bath, furniture and gifts. Their convenient credit plan offers payments starting as low as $20 per month. Fingerhut – Thousands of choices with no down payments, no layaway, no surprises and affordable monthly payments. They say “Yes” when others say “No”! If you already have a Fingerhut Credit Account, click here to shop! Ashley Homestore – Special financing online with no money down on furniture, rugs, lighting, mattresses and bedding. Montgomery Ward – Find brand name bedding and gifts with payments starting as low as $10 per month. Gettington – Offers 3 (three) ways to pay: Now (Pay in Full), Fast (4 Monthly Payments) or Easy (24 Monthly Payments). Plus they carry much more than bedding for less! Application takes less than a minute! If you already have a Gettington credit account, click here to shop! My Pillow – Financing available with Affirm on all orders over $200, and they sell more than pillows! Shop luxury Giza cotton sheets and luxury pillowcases and more. Visit MyPillow.com today! Pottery Barn – Open a Pottery Barn credit card for 12 months special financing plus 10% back in rewards and a free $25 reward for every $250 you spend. eLuxurySupply – Offer eLuxPay to make low monthly payments on bed, bath, home, living and mattress items. Walter Drake – Offers EasyPay installment billing to divide payments up on your credit card. Great prices on bed skirts & pillow covers! Amazon offers a free $50 gift card for applying and getting approved for their Amazon Rewards Visa Card that you can instantly apply towards a new bedding (or anything else) plus earn 3% back on your Amazon purchase. Shop Amazon.com now! Check Into Cash – Apply for a loan up to $1000 to spend anywhere on anything, including budget bedding! It only takes a minute to apply, and the money will be direct deposited into your checking account. The following online stores sell bedding AND accept PayPal, so you can choose PayPal Credit (formerly Bill Me Later) at checkout to make monthly payments on bedding. Make no payments with no interest if balance is paid in full in 6 or 9 months. Pay no Interest if paid in full in 12 or 18 months with minimum monthly payments. Wayfair – Save up to 70% off Bedding and Comforters here! Click here for more buy now, pay later stores.